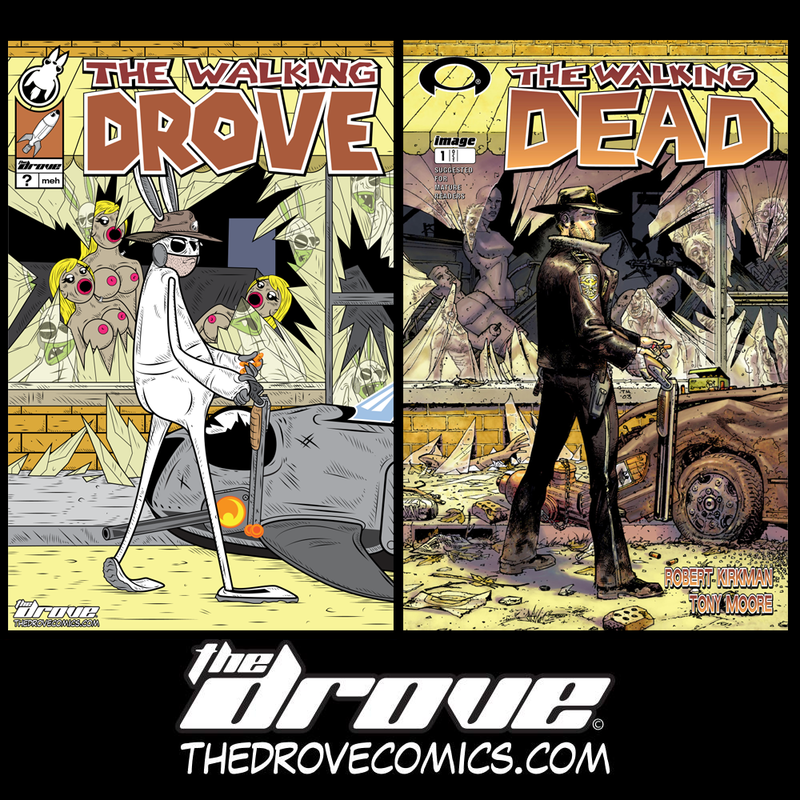 Inspiration Strikes: The Walking Drove! This entry was posted in Official Message from Central Command and tagged Blow Up Doll, Blow Up Dolls, comic, Daryl, Daryl Dixon, death, drove, fake cover friday, Image Comics, Kirkman, murder, parody, Robert Kirkman, sci-fi, the drove, The Walking Dead, thedrove, Tony Moore, Undead, Walking Dead, webcomic, Zombies. Bookmark the permalink. ← The Drove Pin Ups: Tawny!